Varsity softball wins their Regional semi-final game with Waverly 6-1. Laiykn Teasley gave up 5 hits on the mound and had 4 strikeouts. Brittny Ogg, Shayla Munyan, Haylen Terry and Lauren McMahon added hits for the Falcons. Falcons will play for a spot in the state final four on Saturday at 12:00pm vs Granville. Falcons win a district title last night at Ohio University against Sheridan 1-0. Laiykn Teasley shut out Sheridan by allowing only 4 hits and sitting down 6. Ashton Snider, Shayla Munyan and Kayla Forsythe each added a hit towards the win. Falcons won 9-4 over Warren in the District Semifinals Monday night. The team rallied to score 8 in the 6th to go ahead. Leading the charge were Laiykn Teasley with 3 hits, Kayla Forsythe and Myia LaFollette each added two hits. Laiykn Teasley only gave up 1 hit on the mound and had 6 strikeouts. Varsity softball are sectional champs with a 12-1 win over Washington Courthouse. Laiykn Teasley added a grand slam HR and a 2 run HR, Shayla Munyan ended the game with a 2 run HR in the 5th. Laiykn Teasley went the distance on the mound with 11 strikeouts and 1 hit. 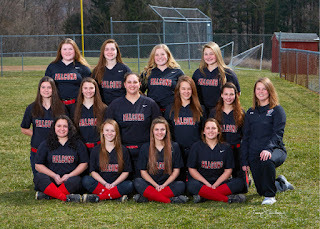 Varsity softball had a huge win over Hamilton Township tonight 15-4 in their last league game of the season. Laiykn Teasley went the distance on the mound for the Falcons, only giving up 4 hits. Shayla Munyan led the team at the plate with 3 HR’s and 9 RBI’s. Kayla Forsythe added 2 HR’s and 3 RBI’s. Lauren McMahon and Brittny Ogg both added two hits each to the winning effort. Varsity softball lost a close one to Liberty Union 4-3. Laiykn Teasley pitched a great game, allowing one earned run. Lauren McMahon led the way at the plate with two hits. Brittny Ogg, Addyson Berkfield, Myia LaFollette, Kayla Forsythe and Haylen Terry all added hits for the Falcons. The reserve team also fell to Liberty Union 18-9. Varsity softball lost to Liberty Union 15-8. 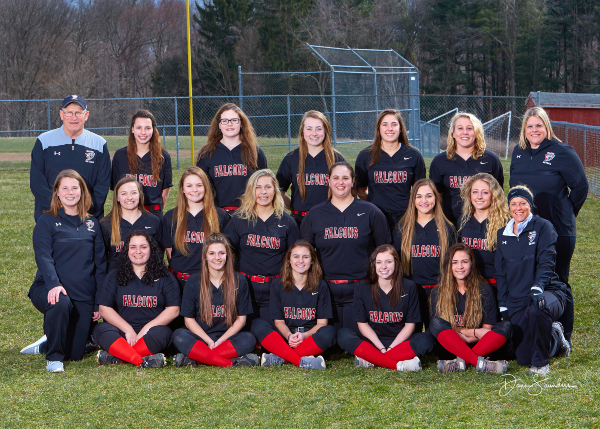 Leading the way for the Falcons were Hannah Burnside, Haylen Terry and Myia LaFollette who each had two hits. Ashton Snider added a grand slam. The reserve team lost 12-15. Varsity softball lost to Circleville 11-1. Shayla Munyan, Brittny Ogg and Hannah Burnside each had hits for the Falcons. The reserve team lost 13-1. Varsity softball lost to Amanda on Friday night 12-2. Hannah Burnside had a homerun for the Falcons. The reserve team lost 16-4. Varsity softball lost to Teays Valley 11-1. Hannah Burnside, Brittny Ogg, Laiykn Teasley, Haylen Terry, Kayla Forsythe and Myia LaFollette each had a hit for the Falcons. The Falcons will resume play Friday night at Amanda at 5:15. 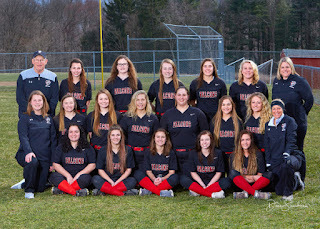 Varsity softball won on the road Friday night 3-2 over Logan Elm. Laiykn Teasley went the distance on the mound and had 9 strike outs for the Falcons. Myia LaFollette had a 2 run HR in the second inning to give the Falcons the early lead. Kayla Forsythe, Brittny Ogg, Lauren McMahon and Laiykn Teasley each added hits for the Falcons. The reserve team lost at home Friday 11-6. Both teams back in action Saturday at 11am in league play with Logan Elm. Varsity softball won a close battle over Bloom Carroll 3-2 at home on Wednesday. Laiykn Teasley went the distance on the mound for the win. Shayla Munyan and Brittany Ogg each had two hits. Haylen Terry, Shayla Munyan and Kayla Forsythe had RBI’s for the Falcons. The reserve team won on the road at Bloom Carroll, 17-12 behind the pitching of Sam Ward. Ally Baker and Bryn Cisco had tripled and Sam Ward hit a grand slam for the Falcons. The varsity softball team beat New Lex tonight 17-8 at home. Brittny Ogg, Addyson Berkfield and Laiykn Teasley all threw innings towards the win. Shayla Munyan hit a three run home run in the second inning and Myia LaFollette followed her up by hitting her first home run of the season with one runner on. Myia LaFollette had three hits on the night; Ashton Snider, Shayla Munyan, Rachel Mason and Kayla Forsythe each had two hits for the Falcons. 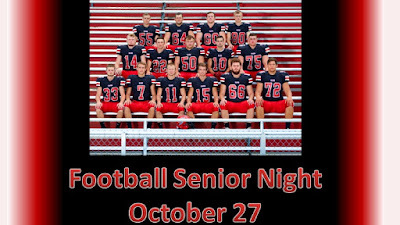 The Falcons end their week with a road game at Circleville tomorrow. The reserve team won their game against New Lex as well 21-7. Sam Ward took the mound for the Falcons and got the win. Varsity softball defeated Amanda in a big league win at home 11-6. Laiykn Teasley went the distance on the mound for the win with 7 strike outs. Ashton Snider and Haylen Terry each had two hits. Brittny Ogg hit a two run home run in the first to start the game off. Munyan, Burnside, Forsythe and Collins all added hits for the Falcons. The team is back at it tomorrow against New Lex at home in a non-league game. 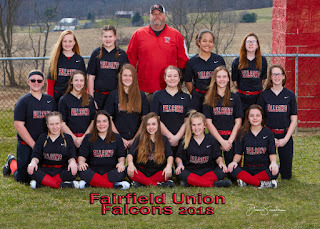 The Lady Falcons won big on the road last night at Miami trace 25-7. The Falcons were led by Ashton Snider with 5 hits including a two run home run, Haylen Terry with three hits including a three run home run, Laiykn Teasley with three hits and Shayla Munyan, Lauren McMahon, Brittny Ogg and Maddy Collins all had two hits for the win. Laiykn Teasley gets the win on the mound. The reserve team lost a close one on the road 23-20. Lady Falcons Softball lost last night to a good Teays Valley opponent 13-5. The Falcons combined for 12 hits on the night. 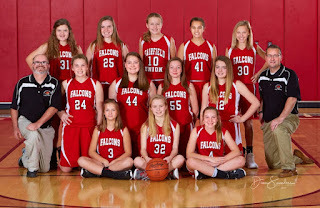 The Falcons were led by a trio of seniors in Ashton Snider, Lauren McMahon and Shayla Munyan. Ashton had 4 hits, Shayla had 3 hits and Lauren had two hits. Ashton Snider had 2 homeruns and Shayla Munyan had one homerun. Laiykn Teasley and Addyson Berkfield combined on the mound for the loss. The reserve squad loss to Teays Valley 25-4. Both teams are back in action tomorrow at Miami Trace. The Falcons won a close one on the road Friday night. 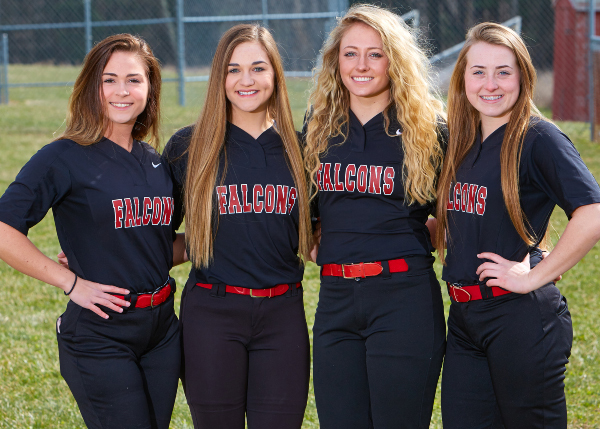 Kayla Forsythe, Haylen Terry, Lauren McMahon, Hannah Burnside all had hits for the falcons. Ashton Snider led the Falcons with a double and a single. On the mound for the Falcons was a combined effort between Brittny Ogg, Laiykn Teasley and Addyson Berkfield for the win.